The department plays a crucial role in the assessment, management and review of major developments in NSW. Under the provisions of the Environmental Planning and Assessment Act 1979 (EPBC Act), the department provides advice to the NSW Department of Planning and Environment (DP&E) and major project proponents to ensure that development is sustainable and consistent with the broader management principles of the state's water resources and their dependent ecosystems for the benefit of both present and future generations. Lands & Water’s Strategy & Policy branch coordinates the provision of this advice. In reviewing and preparing comment on major development proposals, we take into account the requirements of the Water Management Act 2000, Water Act 1912 and related regulations/instruments (e.g. water sharing plans) as well as relevant policies and guidelines. NSW Aquifer Interference Policy (2012) – Outlines the process through which our department assesses projects to determine any potential impacts on aquifers resulting from aquifer interference activities. It clarifies the requirements for obtaining water licences for aquifer interference activities in NSW and requires that operators properly address any risks to groundwater resources and undertake adequate monitoring. NSW Guidelines for controlled activities on waterfront land (2012) – These guidelines relate to the design and construction of works within a watercourse or on waterfront land. The guidelines include separate documents for in-stream works, laying pipes and cables in watercourses, outlet structures, riparian corridors, Vegetation Management Plans and watercourse crossings. View a summary table of what we do at each stage of the major project planning process and the information required from the proponent at each of these stages. Major development proponents should contact the Cabinet & Legislation Services Unit within the department via email at landuse.enquiries@dpi.nsw.gov.au to seek comment, review, or undertake consultation ((PDF 539.5 KB)). The department provides advice to the NSW Division of Resources and Geoscience (DRG) in the assessment of applications to undertake mining and petroleum exploration in NSW. This includes providing advice on Review of Environmental Factors reports (REFs), Water Modelling and Monitoring Plans (WMMPs) and Produced Water Management Plans (PWMPs). Both WMMPs and PWMPs must be developed and updated in consultation with the Department of Industry and as a result we play an important ongoing role in the on site management and monitoring of water resources for mining and petroleum exploration projects. Where an activity is defined as non-State Significant Development under the Environment Planning and Assessment Act 1979, an REF allows the assessing agency to determine whether or not the activity requires a higher level of assessment in the form of an Environmental Impact Statement (EIS). If an EIS is not required, the assessing agency will recommend either the approval or rejection of the REF submitted by the proponent. The department recommends that proponents refer to the Aquifer Interference Policy Assessment Framework ((PDF 115.4 KB)) when preparing an EIS for a major project. Australia's national environment law, the Environment Protection and Biodiversity Conservation Act 1999, was amended in June 2013 to provide that water resources are a matter of national environmental significance in relation to coal seam gas and large coal mining development. This amendment is known as the water trigger. 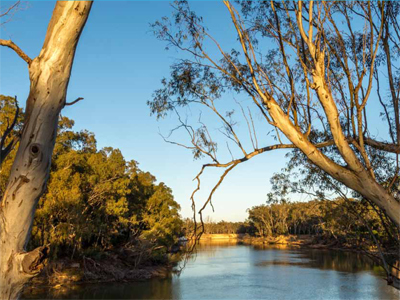 The water trigger allows the impacts of proposed coal seam gas and large coal mining developments on water resources to be comprehensively assessed at a national level. Under the water trigger, any coal seam gas or large coal mining developments that are expected to have a significant impact on water resources must be referred to the Commonwealth Independent Expert Scientific Committee (IESC) for advice. As part of their assessment, the IESC may seek advice from us. Based on the IESC's advice, the Minister can set appropriate conditions as part of the project approval to ensure that any significant impacts on a water resource are acceptable. The rules surrounding the referral of coal seam gas and large coal mining developments to the IESC by the NSW Government are prescribed under an agreement between the NSW and Commonwealth governments.